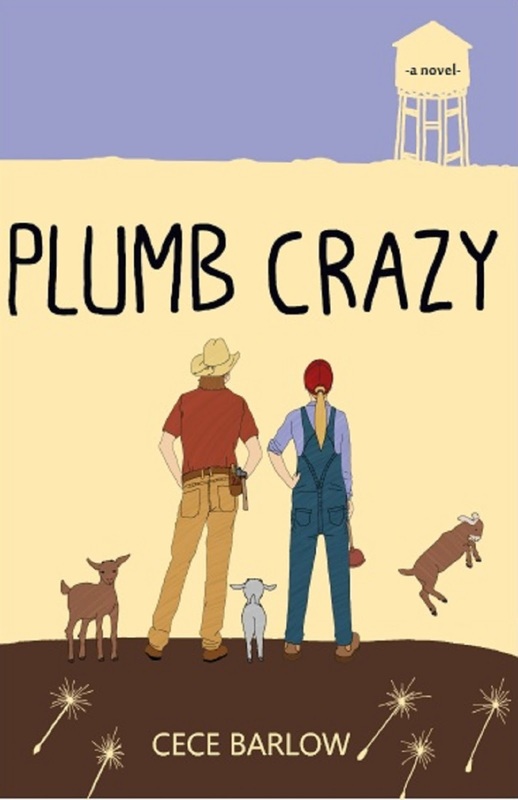 PLUMB CRAZY available on KINDLE and in PAPERBACK! Also available anywhere fine books are sold. 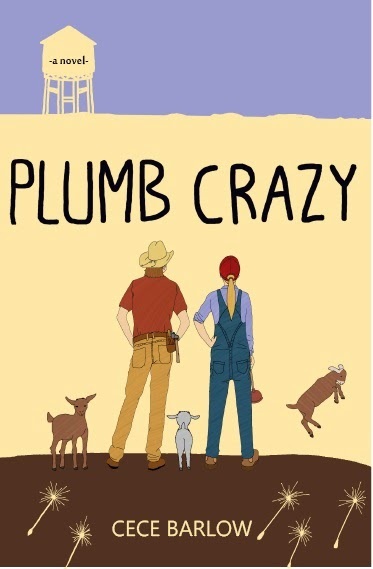 Read an article about Plumb Crazy in USA Today's Happily Every After blog: Quirky Girls Need Love Too! "Molly Blaisdell captures Texas in all its heat, starkness, beauty, and softness. And she captures the mind and heart of a teenage girl like nobody else." ***** Author Conrad Wesselhoeft, GoodReads review. "This rollicking Texas yarn explores the dreams of one teenager eager to escape her small town life. Elva Presley Hicks considers Belling, Texas -- and particularly Belling High School -- a Hell. The only way she copes is because of her best friends, Shay and Margarett, with whom she writes classic Star Trek fan fiction. Writing, she believes, is her ticket out of town, but she also needs money. Thanks to her grandfather, she gets an under-the-table job as a plumber's helper, and soon she’s raking in enough dough to refill her grandmother's Zoloft prescription, buy a cell phone, keep the goat kids she loves from becoming goat meat, and even get a laptop. But money isn't everything: Elva also wants love, but when your choices are obese pig farmer Chase or Wyatt, the plumber with wandering hands, things don't look promising. Then Elva meets a boy named Mitch, who doesn't run when she mentions her fan fiction. What's a girl to do? … Elva's voice reflects her setting, and she's easy to root for..."
A five-year class reunion unearths memories of a geek girl's summer as a plumber's helper, when she suffered world wide fanfic humiliation and found true love. Elva Presley Hicks is about to attend her five-year class reunion, but the discovery of an old Star Trek fanfic manuscript stirs up summertime high school memories of her job as a plumber’s helper in the big city of Houston. Elva earns $$$$, but money isn't everything, bypassing the choices of Chase, the obese pig farmer, and Wyatt, the plumber with wandering hands, she searches for love. She discovers excellent karma when she meets a handsome electrician Mitch McCall. The summer romance fizzled, but now she has a second chance. Small town country girl Elva Presley Hicks is about to attend her five-year class reunion with her best friends, Shay and Margarett. The discovery of an old fanfic manuscript stirs up memories of her summer job as a plumber’s helper in Houston the summer before senior year. She earned $$$$, but was lonely as heck. It's not like there weren't any suitors. Elva could have chosen between Chase, the obese pig farmer, and Wyatt, the plumber with wandering hands. But she yearned for something more, and found with electrician, Mitch McCall. It was a cosmic connection. Mitch wasn't turned off by Elva's name or fan fiction writing, and Elva didn't lose interest in Mitch after he cut off his nose at work. Trials and triumphs followed Elva, including a friendship implosion, world-wide fanfic humiliation, and goat salvation. It would go down as the most memorable summer of high school. But as these things sometimes do, the summer romance fizzled and Elva moved on to life after high school. And while she's ready to reminisce, she is unnerved when she runs into Mitch at the reunion. Can they give it another go after so much time has passed, or are they too different now to even try? PLUMB WA semi-finalist in the Amazon Breakthrough Novel Award Contest. The top 50 entries of 5000 advancd to the Semi-Finals in the category. The semi-finalists were determined by ranking each quarter finalist entry based on the average "judging criteria" score given to each quarter finalist Entry by Publishers Weekly reviewers. Here is a link to all the semi-finalists: 50 Young Adult Fiction .